If you’re thinking about a kitchen remodel for your home, there are many decisions you’ll have to make. In addition to finding a reliable remodeling company to perform the installation, you’ll have to choose the cabinetry, countertops, and a theme that creates a specific feeling in the room. 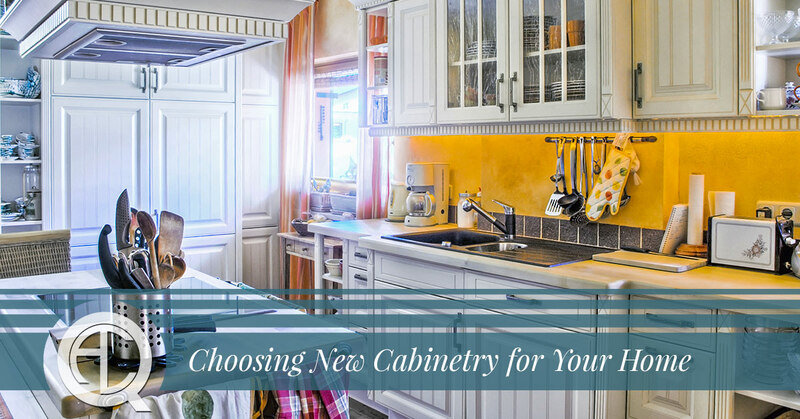 In today’s post, we’ll walk you through the process of choosing new cabinetry for your home. 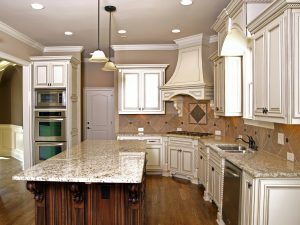 Affordable Granite & Cabinetry Outlet offers a wide variety of home renovation services in Newburgh and the surrounding areas. If you’re interested in learning more about our services, head over to our showroom or get in touch with us through our website to request a free estimate. We look forward to helping you create the space of your dreams! The cabinetry in your kitchen is the first thing that your family and friends will notice when they enter your home. You can think of your cabinets almost like a functional wallpaper in your kitchen – the design and style you choose will greatly influence the mood and tone of the kitchen. How extensive will your remodel be? If you’re planning to remodel just the kitchen, then you have quite a bit of freedom when deciding what style and color you’ll be using. If you’re remodeling your entire home, you should pay careful attention to the aesthetic qualities in the rest of your home to avoid creating odd contrasts or clashes. For example, if your new kitchen design is going to be sleek, minimalistic, and modern, you may want to choose a cabinetry design that still matches the tones throughout the rest of your home. If you’re struggling to determine which cabinetry style will look best in your home, you can always ask one of our kitchen design experts for assistance! Most people think about the big picture when designing new cabinetry, but it’s the little details that can really make your kitchen cabinets shine. Some of the smallest details that are worth a significant amount of consideration are the handles and knobs you’ll be outfitting your new cabinets with. Do you want your home to have a European feel? You may want to consider choosing a style without any outward-facing handles. If you’re hoping to create a feeling of elegance and sophistication, gold or silver handles and knobs may be the perfect addition to your kitchen cabinets. While aesthetic appeal is an important element of any cabinetry installation, you should also consider what you need your cabinets to do for your kitchen. How often do you cook at home, and do you typically purchase dry or canned goods that need to be stored somewhere? If you have a family, think about their current storage needs as well as your anticipated storage needs. Growing children will require you to purchase more food in the next several years, but if your kids are moving away to college soon, then you may want to opt for smaller, compact cabinetry. Once you’ve chosen your ideal material and style, the next element of your new kitchen cabinets to consider is the finish. Regardless of which material or cabinetry style you’ve chosen for your kitchen, the finish you choose has the potential to make your cabinets even more appealing. Most of the finishes available on today’s market are semi-gloss coats, and these finishes allow the wood grain and texture of the cabinetry to shine. Returning to our example from above, if you’re going for a minimalistic or modern design in your kitchen, then you may want to consider choosing a black or white paint for your new cabinetry. Your options are virtually unlimited when it comes to material and finish combinations, and we’d love to show you some of our favorite options in our Newburgh showroom. Stay tuned for future posts in which we’ll continue to provide you with tips and helpful resources that will make your next remodel as easy as possible. If you’re wondering which kitchen cabinets will be perfect for your upcoming kitchen remodel, stop by the Affordable Granite & Cabinetry Outlet showroom or get in touch with us through our website to request a free, no-obligation estimate! We’ll help you find kitchen cabinets that exceed your expectations, meet your preferences, and won’t break the bank.